CADesertRat 14 hours, 8 minutes ago. Now to the topic at hand, My computers are on UPS’s so I generally shut down at night and turn off the UPS. If I forget to turn off the UPS to my W7 Pro computer, it starts all on it’s own after about 30/45 mins. My W10 computer does not do that, only the W7 computer. The W7 computer has been doing that for quite some time now and I just noticed it again today when I didn’t turn off the UPS right after shut down. So I had to wait for the sign-in screen and shut it down again and turn off the UPS. Any idea what would cause that phenomena?? This has been happening since way before the previous thread I linked to above. Something setup a wake up timer not sure what it could be, look in Task Scheduler. As an example Media Center could set timers to update program listings, it would wake a computer to do that task but never turn it back off. 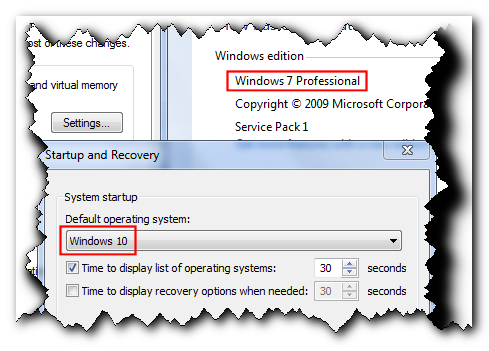 Review the settings for any Uninterrupted Power Supply software you may have installed on the Windows 7 machine. Thanks for the reply, I have never used Media Center but I do have a UPS and the settings don’t really show any wake settings. It’s actually set to turn off the computer if there is a power problem. 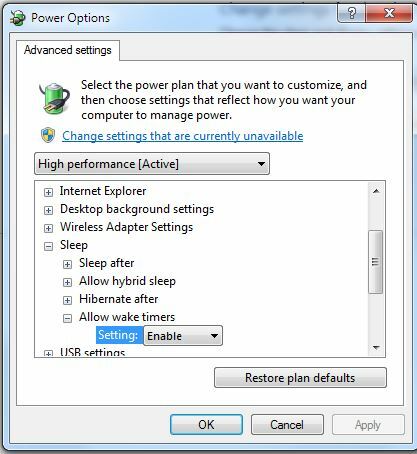 Okay I guessed wrongly about the problem, but it was based on past experience I turned off the Media Center options, checked Task Scheduler, and disallowed wake timers for all power plans. 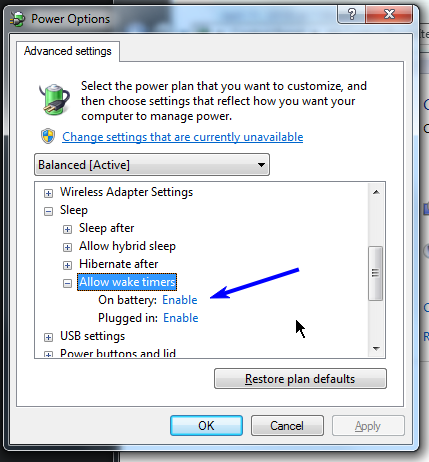 Look for a “Wake on LAN” setting. It may be in the BIOS or the OS (or both). Can’t remember where. Open an elevated Command Prompt – right click, Run as admin. This will show any wake timers set. Thanks Paul, I’ll take a look when I boot up W7 today. But, it looks like there could be *other timers* besides *Wake on LAN*. Another interesting point is that this morning I started the UPS for power about 2 hrs ago (I haven’t booted up the W7 machine yet) and so far it hasn’t started on it’s own. Seems like it’s only in the evening when I shut down that it starts on it’s own approx. 20/45 mins after shutdown. Maybe there’s a wake up call just in the evening? I’ll boot up after while and take a look at the suggestions for wake on LAN etc. 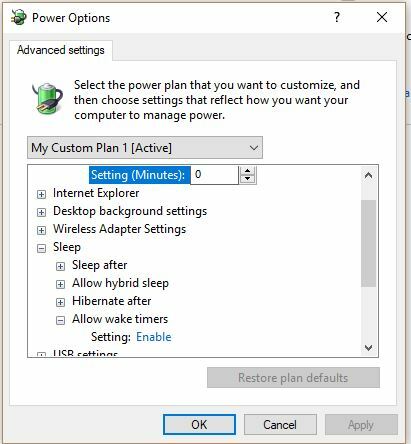 My Windows 7 Pro PC has no wake timers/wake from mouse or keyboard/WOL, etc. so I get a null result. What (if anything) does yours show? I just now booted up W7 Rick so I will wait for it to settle down and query it, thanks. I will also look at Pauls query and look where NightOwl suggested to see what that looks like. This morning I turned on the power and let it sit for a number of hours and there was no surprise start so it has something to do with shutdown in the evening that makes it want to restart on it’s own. NightOwl, Here are what my settings are in Device Manager and Power Options. The wireless connection is already unchecked for wake but there are a few selections for the NIC. 2. Expand Windows Logs in the left-hand navigation pane and select System. 3. Once the log is displayed, select Filter Current Log… from the right-hand Actions pane. 4. Put ticks in all 5 Event level checkboxes. 5. 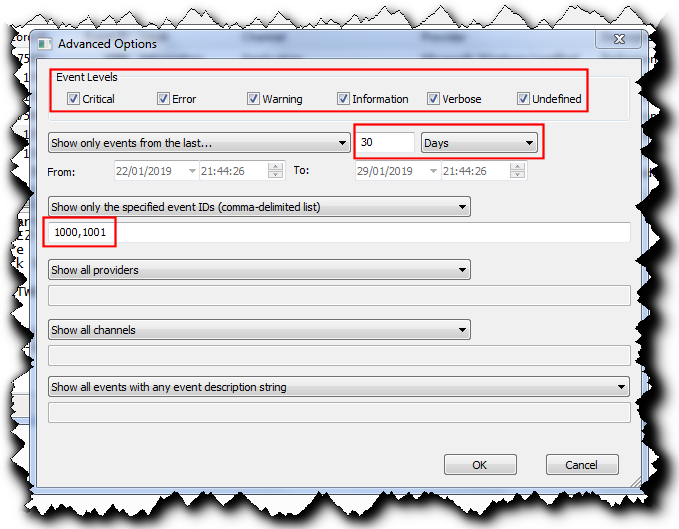 Using the Event sources dropdown list, put a tick in the Power-Troubleshooter checkbox then click away from the dropdown list so it closes. 6. Click on Refresh in the right-hand pane. 7. If any entries are shown then look for the Wake Source in any entry where the device powered on by itself. (b) If you aren’t using WOL then remove the 3 ticks from the Wake on LAN checkboxes of your NIC’s properties. (c) It sounds like you are using more than one UPS. If so, swap the Win 7 device’s UPS connection to the Win 10 desktop and vice versa… just to test whether it’s the UPS that’s triggering the start. @Rick_Corbett, just as an aside–how did you manage to get that “ripped paper” look on your screenshot? 1. Open Event Viewer. 2. Expand Windows Logs in the left-hand navigation pane and select System. 3. 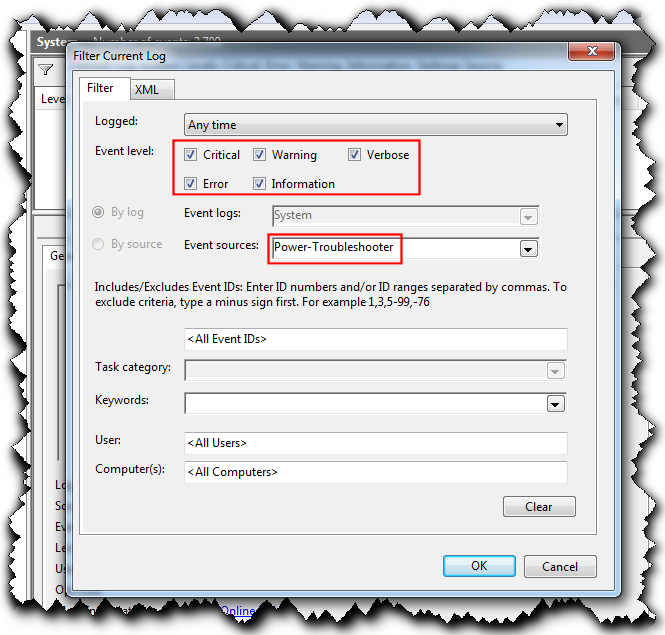 Once the log is displayed, select Filter Current Log… from the right-hand Actions pane. 4. Put ticks in all 5 Event level checkboxes. 5. Using the Event source dropdown list, put a tick in the Power-Troubleshooter checkbox then click away from the dropdown list so it closes. 6. Click on Refresh in the right-hand pane. 7. If any entries are shown then look for the Wake Source in any entry where the device powered on by itself. It sounds like you are using more than one UPS. If so, swap the Win 7 device’s UPS connection to the Win 10 desktop and vice versa… just to test whether it’s the UPS that’s triggering the start. Thanks Rick, I did as you suggested and there is NOTHING in the log, it’s blank. As to switching the UPS’s, that would be a job in itself as they are not close to each other. just a note: I have not changed anything in the screenshots I posted in # 352567 until further advised. Thanks Rick, I did as you suggested and there is NOTHING in the log, it’s blank. As to switching the UPS’s, that would be a job in itself as they are not close to each other. OK. Then try activating WOL on the Win 10 desktop’s NIC and see if it too starts up mysteriously… just to check whether your network has ‘magic packets’ from somewhere. I just looked at W10’s settings and in the Dev Mgr>NIC>Power mgmnt it shows that the “Wake on Magic Packet from Power Off State” is unchecked. Maybe that’s the solution on the W7 machine because all other settings are the same. I just unchecked that box on the W7 machine and will see what happens tonight when I shutdown. Thanks for the suggestion Rick since it forced me to look at the difference and hopefully that is the problem. I use Mouser’s Screenshot Captor. It’s one of the many, many ‘Special FX’ editing options (in the ‘Special FX2’ menu). Screenshot Captor is donation-ware… it’s so easy to use (especially for multiple screenshots) and I use it so often that I donated towards its development a couple of years ago. We have covered a lot of bases in this thread and nothing seems to show why the computer has a mind of it’s own. Is there anything else that you can think of???? Looks like I was wrong about the shutdown time. 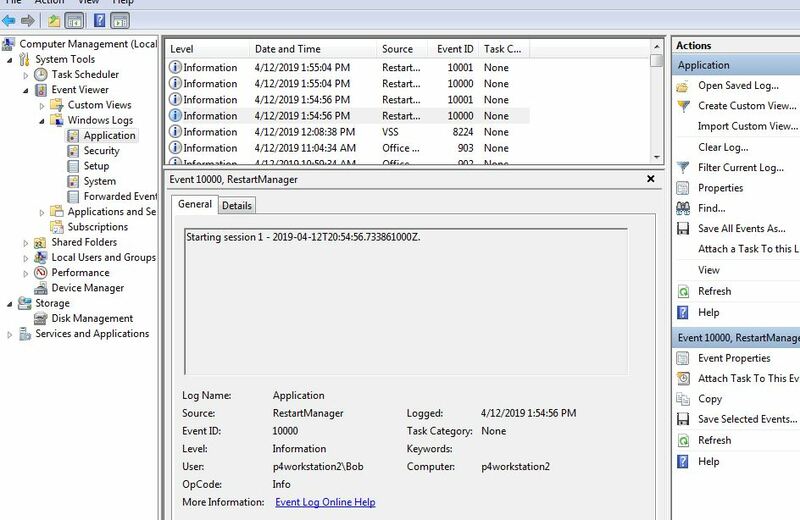 I went into event viewer>Windows Logs>applications and found where it shut off and then “Restart Manager” restarted the computer. It started session then ended session about 3/4 times and then there is a system restore log related to Windows Update, which I have turned off. Since this happened in the middle of the day and not the usual evening, I assume that the time of day means nothing for the restarts. Is there anything else that you can think of? I can’t think of anything at the moment except to remove the network connection – disconnect ethernet cable or disable wireless card – next time you shut down. This would rule out WOL completely. Oops… another one: I know it may be fiddly but the UPS is in case of a power outage whilst in use, right? Perhaps remove the PC-to-UPS power cord and plug PC directly into the mains instead… if only for the duration of the ‘shut down’ period in order to rule out the UPS completely? Yes the UPS is for power disconnects and we get a number of them out here. 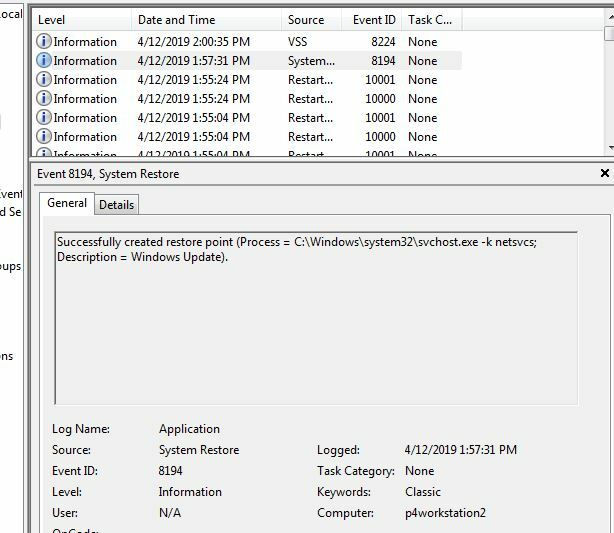 It looks to me like WU is somehow involved with this according to the event viewer and I saw a Restore point at the time it shows it in event viewer (while the computer had restarted on it’s own without me logged in). It shows it as a “Critical Event”. I just shut it down and turned off the UPS so it will be dead for the night. I’m not keen on Event Viewer ‘cos the filtering and detail view is hard to get right. Perhaps use Nir Sofer’s FullEventLogView and use its Advanced Options (F9) to search for events 1000 and 1001? Check the results are sorted in time/date order then you can scroll down quickly to check in the lower pane whether there’s a consistent reason. It shows it as a “Critical Event”. That sounds like you still have the default ‘system failure’ setting enabled. To check, navigate to Control Panel > System > Advanced system settings (in left-hand pane) > Advanced (tab) > Startup and Recovery (group) > Settings… (button). In the dialog that appears, remove any (default) tick in the Automatically restart checkbox then close the dialog(s). Yes the box was ticked so I unticked the “Automatically Restart” box. Here is what it looked like when I opened it. FWIW, I just looked at my settings, per @rick-corbett ‘s guidance above, and my box for automatically restarting after a system failure is set to automatically restart-the box is checked. HOWEVER, I don’t have any mysterious reboot issues. When I shut my system down, it stays off until I push the button on the tower to restart it the following day. I am running Win7 Pro x64 with all the latest patches installed except April’s, but I’m not running any kind of UPS, so I’m kinda with @paul-t , in that I think your UPS software setup has gotten flea-bitten and developed a mind of its own. We got lotsa fleas out here in the desert! Maybe try completely uninstalling the UPS software and try running without the UPS for a while to see if the problem reoccurs. Obviously during this stretch, don’t attempt any work you can’t afford to lose in the event of a power failure. 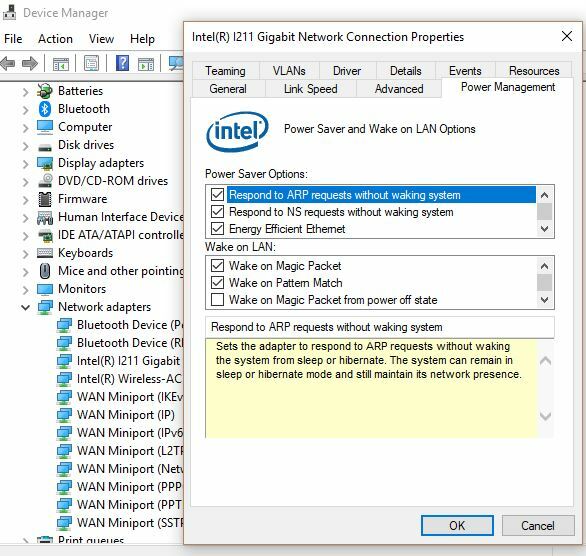 I have looked at my power configuration settings, as I also have an Intel LAN chip, and the only item checked in its properties dialog box is the Magic Packet box along with the energy efficient Ethernet box. It’s a chip that’s the generation right before yours. One other item…the wake timers setting. I have mine set to disable, as once I’m done using the computer, I just shut it off, period. If I need it again later, I start it back up, although I will wait until I have several things to do before starting it up. That way I’m not starting it and stopping it several times during the day which, as you’ve mentioned above, isn’t too good for it. Hope this helps, for what it’s worth! I suspect it’s a software initiated wake that is set when you are using the machine, but it’s a once only so it’s automatically removed on the next boot. 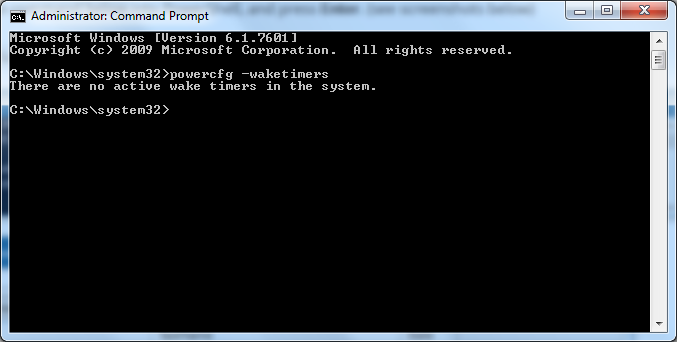 Run “powercfg -waketimers” regularly when you are using the machine to see if the wake event is added. I’ve run that cmd (powercfg -waketimers” a number of times this morning and it shows no timers on the system. In a business environment it’s reasonable (IMO) to assume that there’s some form of system monitoring – almost always automated and often by designated personnel receiving SMS alerts or emails – of these types of events. Now imagine exactly the same event but with the default tick removed from the ‘Automatically restart’ checkbox. You come back from your laundry task and find that your PC is off. At least you now have the information in front of your eyes that something is different and, if you’re like me, can maybe start looking for the reason why. THAT’s my issue with the default setting… it can hide important info from you, especially if you’re one of the many people who just leave their PCs on all the time and rely on Windows’ ‘sleep’ mode and monitor timeouts instead. You may never realise that you have a problem… because you never see it. To make it even easier, consider copy/pasting the following into Notepad and saving as something like “Regedit Favorites – RunOnce.reg” (including the quotes, ‘cos Notepad’s not the smartest tool in the box). It’s really frustrating to have these weird problems especially after the computer has run almost flawlessly for so many years, so I had to just step away for a weekend. A PC owned by my parents had a similar issue some years ago. From memory I think that I started by turning off all of the various wake options for all of the Ethernet and Wi-Fi devices (as already suggested in this thread). However I think that the PC still started up by itself from time to time. The PC owned by my parents has an ASUS P8Z77-V motherboard. It appears from the other thread that your system has an ASUS P8Z77-V PRO motherboard? – If so, then it might be the same problem. I managed to fix the problem in the end – I have a feeling that it was something very obscure like changing the ‘ErP Ready’ setting in the BIOS to Enabled! I seem to recall that the Wi-Fi LED on the back of the PC remained on after it was shutdown. After changing the ‘ErP Ready’ setting to Enabled in the BIOS the Wi-Fi LED was off after the PC was shutdown. You may want to check the status of the Wi-Fi LED on the back of your PC after it is shutdown. Yes that is the correct MB. I haven’t even turned on the computer since I turned it off yesterday and probably won’t mess with it until this coming week. I just checked the P8Z77-V PRO motherboard manual. 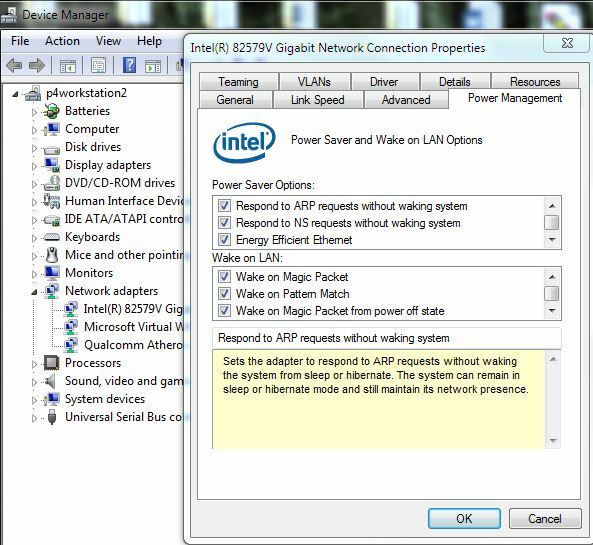 If the BIOS settings have been reset to the default values after you changed the 2032 battery then it seems quite likely that changing ErP Ready to Enabled might fix your problem (check the status of the Wi-Fi LED at the back of the PC after it has shutdown before and after you change the ErP Ready BIOS setting). You mention that the problem has only started recently – perhaps some of the BIOS settings got reset when the old 2032 battery got too weak? Pretty sure this is not the cause for you . . . but I have to share a funny story. System goes home, and owner calls me the next morning saying it did it again! I go on site to look around. Notice tiny bugs in corners of his office. Hmmmmm . . . .
Placed some sticky bug traps INSIDE the tower chassis. My computer was starting up at 2am on Saturday to run a backup because the backup software was set to wake the machine up. Took a while to find that one. The thing that confuses me the most is that the computer was fine for many years and all of a sudden (a few months ago) started doing this. Hang in there! You realize we are talking about computers here–right?! Basically, as we use our computers we add programs, we delete programs, we adjust settings, we mix n’ match programs, and hardware (we rarely know if there will be a compatibility issue, if any, until it happens), drivers get updated, firmware (potentially for multiple components) gets updated, components wear out (spinning hard drives), technology moves forward and we need to upgrade the hardware for new features or capabilities, OS security updates or feature updates occur, installs fail to complete without errors, uninstalls fail to complete without errors, …. After a few years, our systems are full of detritus of all sorts. You can probably re-format your hard drive, install a fresh clean install of your OS, and have a *like new* system all over again. But, you have to start over again with adding programs, adjusting settings, etc., etc. …. I agree. There have been a lot of good suggestions made in this thread–a number of *tools* to look at what might be going on as far as *Wake on LAN* (WOL), or *Wake up Timers*. But, the results have been less than revealing. I think we need to *understand* what you are doing as far as *shutting down* in more detail. There are *multiple variables* that are not being controlled for as far as what is happening, and under what circumstances! And, do you know–when you turn off your UPS, does this cut *all power* to your computer? In other words–if you hook up a lamp to the UPS, and you use the UPS power button to *turn the UPS off* does the lamp go off–and are you unable to get the lamp to turn on again until you use the UPS on/off switch to turn it back on? And, if turning off the UPS after shutting down Windows–if it *completely* cuts off all power to your tower–does that prevent your system from *automatically, on its own* from powering on? After answering the above questions, then there are other things that need to be tried to narrow down the problem. I am using the “Shutdown” button to shutdown the computer, I only use the arrow next to it if I want to restart. Yes, I “normally” shut off the UPS after everything shuts down but sometimes I forget and that is when it starts by itself. 2 things are hooked up to the battery protection system plugs on the UPS, the computer power and the monitor. 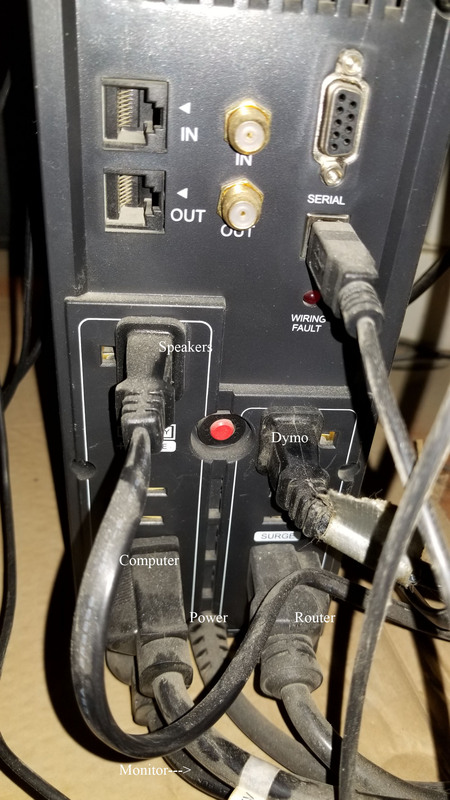 All else is using the other plugs on the UPS which doesn’t shut off power to them (Router, DYMO Labeler, USB 2 connection for shutdown software). There is a light in the middle of the MB that stays on constantly until I turn off the UPS and then it stays on for approx. a minute and all lights/everything go off. Yes, when shutting off the UPS there is no restarting on it’s own. Yes, I “normally” shut off the UPS after everything shuts down but sometimes I forget and that is when it starts by itself. Okay–I was expecting that to be your answer. So, next question–when you forget to shut off the UPS, and the computer restarts on its own, does it stay on–or does it shut itself off again, on its own, after a period of time? I have to be away from my computer for a time (couple hours)–I’ll have more to recommend when I get back. Yes, I “normally” shut off the UPS after everything shuts down but sometimes I forget and <span class=”d4pbbc-underline” style=”text-decoration: underline;”>that is when it starts by itself</span>. Okay–I was expecting that to be your answer. So, next question–when you forget to shut off the UPS, and the computer restarts on its own, does it stay on–or does it shut itself off again, on its own, after a period of time? I have to be away from my computer for a time (couple hours)–I’ll have more to recommend when I get back. It stays on. Since I have to input a password, it stays at the sign in window, and it will stay there until I sign in. I noticed that I had an old (2014) AI Suite from ASUS installed that includes Wi-Fi GO and from reading some of the problem reports related to the P8Z77-V after shutdown restart problems, I uninstalled the suite. I don’t know yet if it will make a difference, just wanted to add the information. 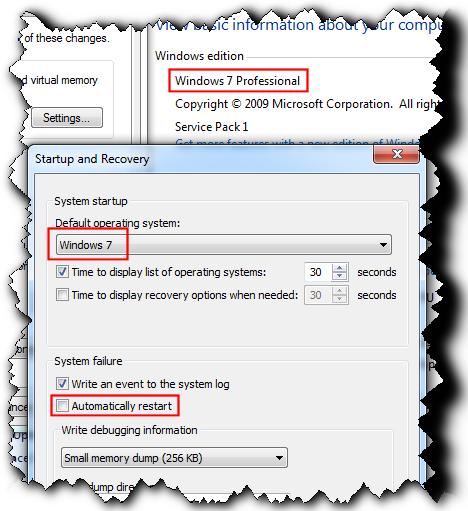 I also unticked the box that Rick mentioned earlier in Advanced>Startup and Recovery. FYI – Based on the experience from my parents’ ASUS P8Z77-V PC it should not be necessary to remove AI Suite II (they still have it installed and their PC no longer starts on its own). 1) Turn off all of the various wake options for all of the Ethernet and Wi-Fi devices. 2) Change the ‘ErP Ready’ setting in the BIOS to Enabled. I haven’t yet enabled ErP. I’ve read some reports in links to this problem that enabling it will shut off all USB ports so I’ve been a bit reluctant to try that yet. Did it shut off the USB ports on your parents computer by enabling ErP?? Also, there is a light at the back of the I/O shield where the Wi-Fi antenna plugs in when the computer starts up. I disconnected from Wi-Fi before I just now shutdown and the light is off (after shutdown). From what I have read, ErP is a European Union inspired power saving setting that became available on MBs in the US approx. when this MB came out. 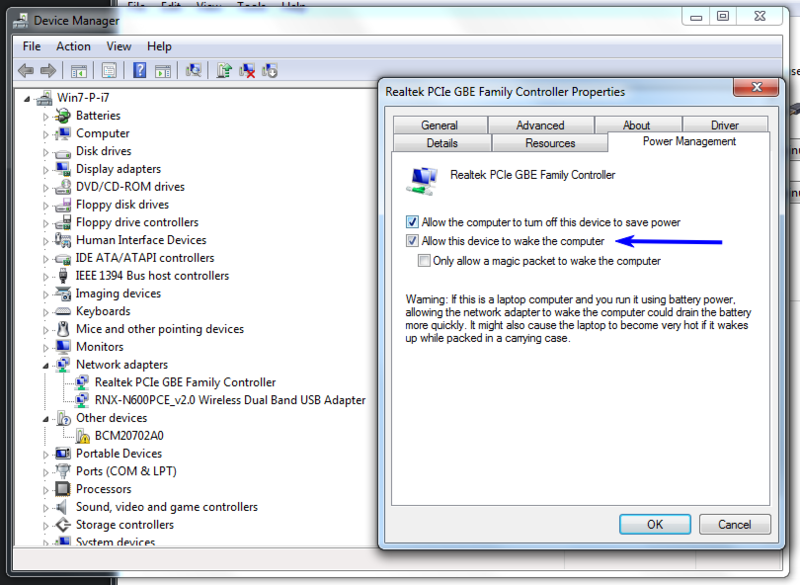 The USB ports on my parents’ PC are all OK when ErP Ready is enabled. From memory I think that after my parents’ PC was shutdown the Wi-Fi light used to remain on when ErP Ready was disabled (implying that some part of the Wi-Fi subsystem was probably still active – suspect that this may be involved in subsequently waking up the PC). After ErP Ready was Enabled the Wi-Fi light was off after the PC was shutdown. Post #40 in the above thread also mentions this behaviour. After reading about this Wi-Fi GO software hopefully it is part of being the culprit, but after some digging around I found this post. 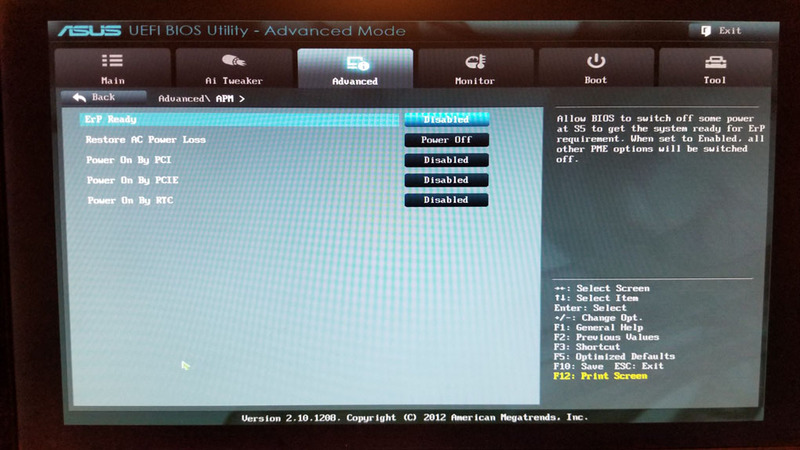 Has the ErP Ready BIOS setting being Enabled kept it turned off? Results so far: At approx. 12:30 PM (quite awhile after uninstalling the AI suite) I disconnected the Wi-Fi ( plugged in the LAN cable to ethernet before disconnecting the Wi-Fi signal). I then shut the computer down and the Wi-Fi light went out on the I/O rear panel (it has not come back on) and it’s going on 4 PM with no restarts so far :). I have not enabled ErP and I’ll post a shot of the APM page. The only problem is that I don’t know if uninstalling AI Suite (Wi-Fi Go) did it or just disconnecting the wireless connection before shutdown did it. Anyway, in the morning I’ll report back as to whether it is off/on. You say that you have uninstalled AI Suite and “I disconnected the Wi-Fi (plugged in the LAN cable to ethernet before disconnecting the Wi-Fi signal)”. If this means that you have disabled the use of Wi-Fi and are now only using Ethernet then you may get different results from my parents – their PC only uses Wi-Fi for network connectivity, it has no Ethernet connection. I see that post #38 from jstluise (who has the same motherboard as you) in the thread I referenced earlier states that they are also relying on Wi-Fi networking rather than Ethernet. If the trigger that was starting up your PC lay in the Wi-Fi subsystem then disabling Wi-Fi networking and only using Ethernet networking might make it go away. When I started googling the problem early this morning, one of the threads I read had a post from 1 user that said that as long as he disconnected the Wi-Fi just before shutting down his computer, it stopped the restart problem. I do have the capability of using the LAN cable on mine but basically I disconnected the Wi-Fi connection just before I shut down to see if that would stop the restarts and so far it has. Evidently the Wi-Fi (if left connected at shutdown) must trigger a restart for some unknown reason. Your fix of enabling ErP may also fix it since you said it worked on your parents computer, but I haven’t tried that yet. So bottom line is that I can use the Wi-Fi as long as I disconnect just before shutdown or just use the LAN cable and forget about the Wi-Fi altogether but I do like the Wi-Fi since it’s 1 less cable to mess with. This morning the computer is still off so evidently disconnecting the wireless connection just before shutdown does work. The only problem is that I don’t know if uninstalling AI Suite (Wi-Fi Go) did it or just disconnecting the wireless connection before shutdown did it. Definitely! If you make more than one change at a time, there will be no way of knowing what change was the one that made the difference. You can do a *re-challenge*–re-enable your WiFi connection (and disconnect your ethernet cable–that is *another* change that you made–so there were at least 3 changes you have identified–uninstall the Asus Software, disconnect the wifi, and connect the ethernet cable). So, now the only change (unless there were others that you have not mentioned), is the uninstall of the Asus software. Shut down and leave your UPS on. Look at that MB light–is it staying on?–or after a brief period has it gone out? And, is the led on the back of the tower next to the wifi antenna on, or off–that’s the *activity* light for the wifi connection–if it’s blinking–then data is being sent and/or received. If it’s on solid–just indicates that the wifi hardware is *on*. If you try the *re-challenge*, what happens? As it stands right now, I left the UPS on over night and the MB light is on but there is no light on the wireless. So it didn’t try to restart over night. I have not booted the computer yet today. As to the ASUS software (AI Suite), it was time to remove it any way since I have read many reports recently of a back door that is/was being used and it was an old version that I didn’t use. I would have to agree, there’s just something that is *less than satisfying* having to remember to disconnect the Wi-Fi connection before shutting down. You actually already had a comparable solution–and I think you were already aware of it–just remember to turn off the power to the UPS after shutting down the system–that was successfully forcing the *wake up timer* that was apparently being set during the shut down process–and your system was put into a *sleep* state–to be erased because of loss of power to the RAM memory! No power–no RAM memory of the pending task–no *auto-restart*! Simple! I have some additional comments, but have to do some errands this morning–will comment later today. Did you test the *disconnect Wi-Fi* (and leave UPS on) last night? Did it continue to *break the auto-restart cycle*? So bottom line is that I can use the Wi-Fi as long as I disconnect just before shutdown or <span class=”d4pbbc-underline” style=”text-decoration: underline;”>just use the LAN cable and forget about the Wi-Fi altogether but I do like the Wi-Fi</span> since it’s 1 less cable to mess with. I would have to agree, there’s just something that is *less than satisfying* having to remember to disconnect the Wi-Fi connection before shutting down. You actually already had a comparable solution–and I think you were already aware of it–just remember to turn off the power to the UPS after shutting down the system–that was successfully forcing the *wake up timer* that was apparently being set during the shut down process–and your system was put into a *sleep* state–to be erased because of loss of power to the RAM memory! 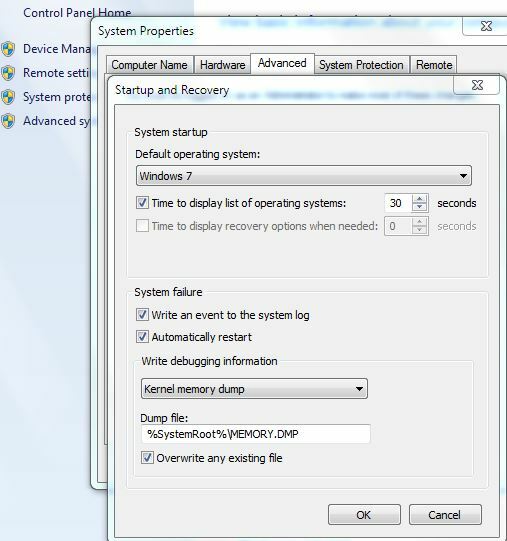 No power–no RAM memory of the pending task–no *auto-restart*! Simple! I have some additional comments, but have to do some errands this morning–will comment later today. Did you test the *disconnect Wi-Fi* (and leave UPS on) last night? Did it continue to *break the auto-restart cycle*? Actually I haven’t started it at all yet since I shut it down the other day and the UPS is still on with no restarts. Yes, shutting off the UPS at night would stop any “Wake-Ups” and that’s what I used to do, hence I didn’t notice the wake-ups until I forgot to shut off the UPS one time awhile back. I was thinking though (I may be wrong) that since I was shutting down the UPS at night it may be draining the 2032 battery faster than when leaving power to the computer over night?? I was thinking though (I may be wrong) that since I was shutting down the UPS at night it may be draining the 2032 battery faster than when leaving power to the computer over night?? I think that *could be true*, if the motherboard manufacturer created circuitry that by-passed the 2032 battery when the system is plugged into an outside power source (wall outlet or UPS battery). But, because the power drain is so low on the 2032 battery, and it lasts for a relatively long time (I have two systems that are older than 7 years and they still have the same battery they came with! ), I don’t think most motherboards come with that type of by-pass circuitry. I suspect 2032 batteries that don’t last as long as expected are probably batteries that may have manufacturing defects so they don’t have the usual expected capacity. I don’t see a *modem* indicated (Cable or DSL)–if your router is nearby (being as it is plugged into the USP)–are you using just a standard outlet for the modem? I leave my UPS on 24/7 and I have things hooked up differently: the speaker system is plugged into the *surge protected* side of the UPS–I don’t need to listen to music if the power has gone out!–so I let the speaker system go silent. Also, the speaker system draws quit a bit of power, so it will deplete your battery backup time quickly. So, in the evening, if I power down the computer for the night–the computer is off, the monitor is a LCD and enters a low power standby state, but the UPS stays on along with the modem and router–this is so others in the household (family, visiting relatives, friends, cats, dogs, or whoever) that might need access to the internet–can at any hour, even though I do not need it with *my* computer off. Yes, I’m plugged into the wall with the “Modem”. Since I am in the sticks & I hate Satellite, the only viable option is Wireless which requires a receiver on the outside of the house and a small “Power supply/transmitter” in the house that goes to my Router. I unplug the router every night before going to bed (I’m not as kind as you ha ha) and shut down my computers, besides, there is only me & my girlfriend, I haven’t taught the dogs how to use the computers yet. The UPS is set to start shutting down the computer but it has approx. 52 Minutes to do that in so if I’m on the computer I have plenty of time to shut it down myself. As to the 2032 battery, I just changed it on my 6 yr. old computer that was referenced in the link at the beginning of the thread. My thought was that the only thing keeping the BIOS alive is the battery if the power is shut off to it.